All I want to do is have some fun ...: Hi de ho Bloggers! I'm back, relaxed, refreshed and rearing to get stuck into 2009! Amazing what a good break away will do, clears out the cobwebs and gets you excited about getting back into life ... even the everyday boring stuff!! Just back today after two and a bit weeks of camping with a group of family and friends at a school camp just out of Bannockburn in Central Otago, and to say it was great is an understatement. It was one of the best holidays we have had. 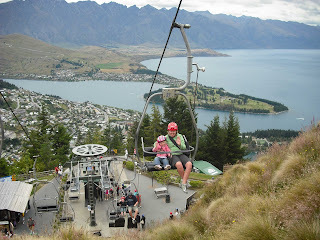 Great company, beautiful weather, amazing scenery, great facilities ..... aaahhhhhh :) can you tell I enjoyed myself??! This is the view of the camp from down by the pool - the water was a tad chilly but did spend a bit of time in it yesterday to cool off from the 30+ degree temperature! ... and my human version of PLAY (using the YMCA song as inspiration)!!!!! Special thanks to my hubby, Auntie and 2 cousins for 'playing' along with me - LOL! 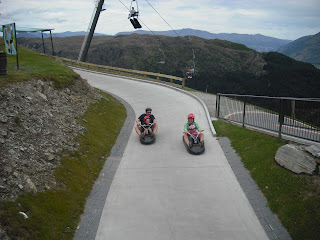 the luge race back down!!!! A lot of fun had that day! So what words have you decided on for this year? Now back to reality ... lots of photos to print off over the next few days and then want to get stuck back into scrapping. Will also be catching up on blogs over the next few days .... ummm 300 odd posts to read so might take me awhile - LOL! So off now to hang up a load of washing, tomorrow will be spent doing more washing, cleaning a very dirty car, mowing the 3 weeks worth of growing grass and finding my garden under all those weeds - but first will be a night sleeping in my own comfy big bed .....aaaahhhhh! welcome home Mich, love the photos. SO did you miss out on the mini tornado at the local pub on Thursday? You do sounds like you had a wonderful break. As I texted you I couldn;t decide between sparkle and play so I decided to add some sparkle to my play. Loved your human play very cool. 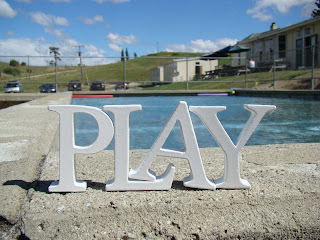 So you found time to play outside the Cardrona huh - too cute. Hopefully you will find the time to play throughout the year ... sounds good to me. Happy New Year my friend and enjoy playing catch up on all those chores around the house that were neglected while you were away playing!!!! 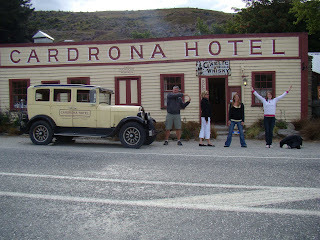 Sounds like a great break away and love Queenstown too. Look forward to hearing about all your play over the year. Welcome home, Mich! Sounds like a fantastic holiday. 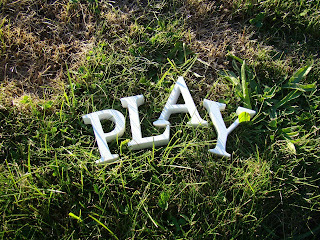 Love the photos of "PLAY", especially the "human" one. Great word for the year. Welcome home Mich - ain't nothing quite like your own bed is there! Glad to hear you had an awesome time.